Congratulations to Evergreen 2020’s Jack Williams on his selection to the 2019 Inside Lacrosse (IL) Mid-Atlantic All Tournament Team! The event was held last weekend in Elkridge, Md. The players had a chance to receive up-close-and-personal skill sessions with Division I coaches from Bryant, Bucknell, Dartmouth, Drexel, Georgetown, Johns Hopkins, Lehigh, Marquette, Mount St. Mary’s, Navy, North Carolina, Ohio State, Princeton, Rutgers, UMass, UMBC and Villanova followed by a series of games in front of all these coaches. We are all very proud of you Jack and extremely excited to see what school will have the opportunity to lockdown an explosive and shifty attackman with an impressive knack of getting to the goal. Evergreen Athletes make the Mid-Atlantic All-Star Game! Congratulations to our Evergreen Athletes & Coaches on their accomplishments this past Spring! Evergreen's Mark Sprague commits to DII Belmont Abbey! Evergreen's Mark Sprague (Highland Class of 2018) has verbally committed to DII Belmont Abbey! This is an absolute STEAL for the Crusaders and we are all looking forward to seeing how successful Mark will be on and off the field. So proud of you! Evergreen 2017's Nick Pasco commits to DIII Maritime College! Congratulations to Nick Pasco, Evergreen Class of 2017, for verbally committing to Maritime College! We are so proud of all the work you have put in this past year and are excited to see you make an immediate impact! Ethan Brundage, Class of 2017, Commits to DII University of Montevallo! Congratulations to Ethan Brundage on verbally committing to DII University of Montevallo to further his education and play lacrosse at the next level. We expect nothing but success for this talented goalkeeper. It amazes us how far he has gone from picking up a goalie stick a little over two years ago. Hard Work Pays Off! Apprentice Athletics and the Evergreen Lacrosse Club Join Forces to Grow Lacrosse in Northern Virginia. LEESBURG, VA – August 19th, 2016 – Apprentice Athletics, a lacrosse club based out of Sterling, Virginia and founded by Major League Lacrosse (MLL) player Matt Casey, have agreed to join forces and integrate their program, including both players and coaches, with the Evergreen Lacrosse Club of Leesburg, Virginia. Both clubs share the same vision of using the sport of lacrosse to develop their members to be the best student-athletes they can be while providing them with the skills necessary to contribute and lead in today's society. This unique approach brought the leadership of both clubs together and ultimately led to the merger. As a part of the integration, all of the coaches at Apprentice Athletics, including Matt Casey, will join the experienced coaching staff of the Evergreen Lacrosse Club. Coach Casey has had a storied playing career that include being recognized as 1st Team All-American at Ithaca College and a career in the MLL where he has played for LA Riptide, Boston Cannons, Chesapeake Bayhawks, and the Ohio Machine. Coach Casey has built up trusted relationships with a large network of college coaches through his high school and club coaching experiences which will benefit the newly integrated Evergreen Lacrosse Club players. He currently coaches at Lake Highland Prep in Florida, one of the most prestigious high school programs in the nation. In addition, Coach Casey will be the head coach of the Apprentice National Teams which will pull players exclusively from the Evergreen Lacrosse Club, Apprentice Florida, and his players from Lake Highland Prep. Coach Casey will be the Senior Technical Advisor for the Evergreen Lacrosse Club while Brad Piver, Apprentice's Director of Operations, will also take on a leadership role within the Evergreen Lacrosse Club. 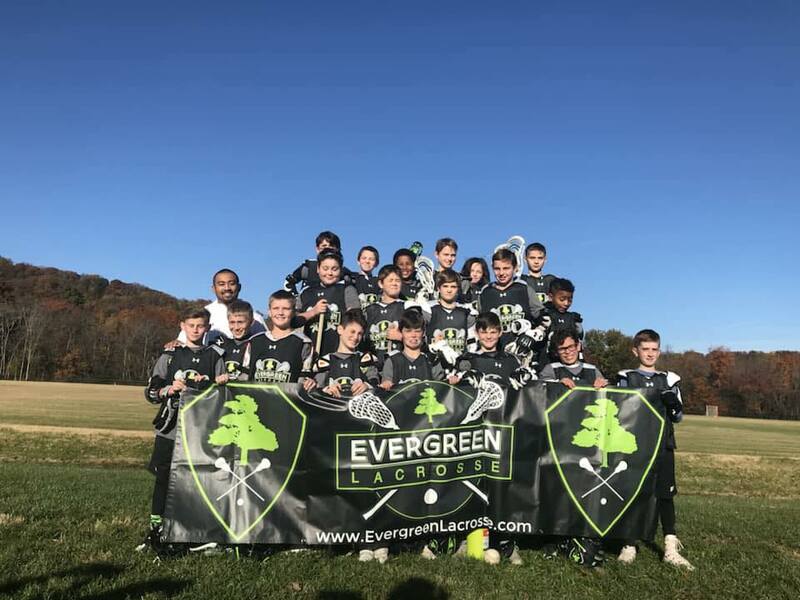 The Evergreen Lacrosse Club is based out of the Evergreen Sportsplex which is a 44 acre facility that features four (4) all-weather, fully lit FIFA certified turf fields which the club uses for training, home games and hosting tournaments. The club has offices on site that feature multi-media classrooms and strength and performance training areas that are used by all of the boys and girls teams to compliment the on field sport specific instruction. 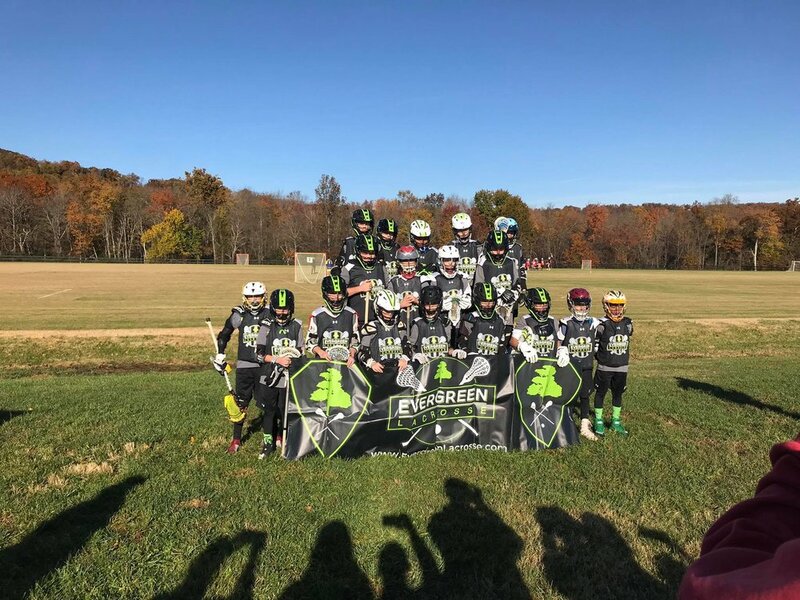 The Evergreen Lacrosse Club will be hosting its travel team tryouts on Sunday, August 21st and Sunday, August 28th at the Evergreen Sportsplex in Leesburg, Virginia. Go to www.EvergreenLacrosse.com/travel to register. Congratulations to Max Wayne, Evergreen Class of 2017, who has verbally committed to Christopher Newport University! We are very proud but not surprised at the success Max has had on the field and in the classroom (4.07 GPA). We are excited for him to make an early impact for the Captains who finished 13-5 overall last season (6-2 in the CAC). Congratulations to Jack Silvernale who was recently named 1st Team All-State! The Randolph Macon commit finished with 133 gb, 3 goals, 8 assists and a 71% face-off win percentage (233/327). He will add this award to his long of season accolades which includes 1st Team All-DAC and Team MVP. Several Evergreen Lacrosse Coaches will be looking to knock off CAC Rival, #10 York College, this Saturday, April 23rd, in the CAC Semi-Finals. This is the first time the Captains have made it this far in the conference playoffs; thanks to a big 19-5 win over Southern Virginia in the CAC opener. Coach Michael Mabry, the coach for the Evergreen Boys 2020 Elite team, and Coach Matt Hayden, the coach for the Evergreen Boys 2020/2021 Team, have led a vicious defense this entire season while establishing new records for the CNU program. Coach Mabry made his record-setting 63rd start on Tuesday against SVA and will be extending it to 64 tomorrow afternoon. Coach Hayden tied the CNU record for saves in a season with his 176th save on Tuesday. He is looking to break that record tomorrow against York. Offensively, Coach Will Geise, an Evergreen House League Coach and Travel Positional Coach, scored a game-high five goals against SVA which became the 5th highest single-game performance by a Captain. He also bumped his season points total to 54 which matches the program's single season record. He will be looking to break that record tomorrow as well. Coach Andrew Ashley. an Evergreen House League Coach and Travel Positional Coach, hammered down a goal against SVA to put them away. Coach Taylor Pascale, an Evergreen House League Coach, will be traveling to Radford University tomorrow, April 23rd, looking to bounce back from a loss on April 20th against Winthrop. Coach Pascale has been the recipient of the Crons Brand Freshman of the Week for her three goal, three draw controls and caused turnover against Delaware State. She has also made the Deans List in Fall 2014 and Spring 2015 as well as making the Big South Presidential Honor Roll. Current Evergreen Student-Athlete, Claire Ashworth, will be heading to Radford University this fall to play for their Women's Lacrosse program. She will also be coaching the Evergreen House League teams. Coach Sean Rogers, the coach for the Evergreen Boys HS Select team and a two-time Centennial Conference Player of the Week, will be traveling to Haverford on Saturday looking to notch another win in an already historic season for Coach Rogers. Coach Rogers is looking to become one of the fastest players to reach 100 career points as he has already amassed an amazing 95 points in his first two seasons as a starting attackman for the Diplomats. He ranks #1 in the Centennial Conference in points (56), #1 in goals (30) and #2 in assists (26). Coach Rexrode, the coach of our Evergreen Boys 2022/2023 Travel Team, will be taking on #17 Penn State University tonight (April 22nd) at 8:00 PM. The two-time BIG Ten Defensive Player of the Week is looking to help anchor the defense tonight and lead the Scarlet Knights to their 10th win this season. The game will be nationally televised at 8:00 PM on the BIG Ten Network. Coach Lindsey Lutz, the Head Coach of the Women's Lacrosse Team at Shenandoah University and the coach of the Evergreen Girls HS Team, will be looking to continue their winning streak tomorrow, April 23rd, as they host Hollins at home at 2:00 PM. This game will also be the last home game of the regular season for the Hornets and will be honoring their seniors. Coach Heidi Smith, an Evergreen Lacrosse House League Coach, will be heading to the Carrier Dome with the Cardinals to take on the Syracuse Orange in a critical ACC matchup. Coach Smith and the Cardinals are coming off a hard-fought 10-9 loss against ACC opponent, the University of Virginia in their regular season home finale. In their loss, Coach Smith scored early to put the Cardinals up 2-0. On the season, Coach Smith has been a dominant force on the midfield with her strong play on the draws, on the offense, and on the defense. They currently sit at 12-3 and are looking to end the regular season with momentum that will carry them through the ACC playoffs. Current Evergreen Student-Athlete and Evergreen House League Coach, Lexy Biller, will be heading to the University of Louisville this Fall to play for the Cardinals. NEWPORT NEWS, Va. -- Combining a breathtaking offensive assault with a suffocating defensive effort, the Christopher Newport men's lacrosse team registered the program's first-ever postseason victory as CNU toppled Southern Virginia, 19-5, during the first round of the Capital Athletic Conference Tournament on a gorgeous Tuesday evening at Captains Turf Field. Coach Will Geise (Evergreen House League Coach) drove home a game-high five goals. That equaled the fifth-highest single-game performance by a Captain and bumped his season total to 54, matching the single-season record. Coach Michael Mabry (Evergreen 2020 Elite Coach) led a vicious defensive effort that terrorized the Knights throughout the game. He started his record-setting 63rd game on Tuesday, also made his presence felt with six caused turnovers. That stands as the second-highest single-game total. Rounding out the history makers, Matt Hayden (Evergreen 2020/2021 Coach) made nine saves against Southern Virginia, which elevated his season-total to 176. That equals Andy McGregor's record established during the 2013 campaign. Coach Andrew Ashley (Evergreen House League Coach) also contributed with a goal from close range while Coach Shane Palmateer (Evergreen House League Coach) abused a midfielder with a bone-crushing hit during the game to keep the Knights in check. With the victory, Christopher Newport improves to 13-4 on the season and advances to the CAC semifinals for a Saturday bout at No. 10 York (Pa.). Southern Virginia wraps up its year with a 6-10 record. We wish our Evergreen Coaches the best of luck as they continue their postseason run! Coach Lindsey Lutz, the Head Coach of the Shenandoah University Women's Lacrosse Program, has guided the Hornets to a two game win streak with a recent win 16-2 victory over Virginia Wesleyan College. We wish Coach Lutz the best of luck as they finish out the regular season with three conference games: Hollins, Bridgewater and Lynchburg. We are excited to have her back this summer and push our Evergreen Girls HS Players to become the best that they can be. LEESBURG, VA: Join the Evergreen Lacrosse Club in supporting local lacrosse legend Michael "Rex" Rexrode tomorrow as #18 Rutgers University battles #5 University of Maryland for 1st place in the Big Ten conference. The winner of the Big Ten Conference receives an automatic spot in the 2016 NCAA Championship tournament in Philadelphia. Coach Rex is having a fantastic Sophomore season as a second year starter on Defense. He is currently tied for 13th in NCAA Division 1 total caused turnovers and was named the Big Ten Conference Defensive Player of the Week twice for his performances against NJIT in March and University of Michigan earlier this month. During the NJIT game, Rex racked up a career-high 4 Caused Turnovers (CT) and 5 Ground Balls (GB) while he collected a team-high 5 GBs and caused three turnovers against Michigan. Coach Rex will return as a coach for the tough and talented Evergreen 2022/2023 team who cannot wait to learn to play defense like he does! Members of the Evergreen Lacrosse Coaching staff and current players will all be sporting our Evergreen colors and cheering Rex and Rutgers on to a victory! As a freshman at Rutgers, Coach Michael Rexrode played in 11 games, starting all 11 since his collegiate debut at St. John's. He collected 21 ground balls and caused seven turnovers while grabbing four ground balls in win at Delaware (March 14) and three ground balls against No. 9/11 Army (March 3). He also had three caused turnovers and two ground balls versus Monmouth (Feb. 28), three ground balls versus No. 6/5 Virginia (Feb. 21) and four at Richmond (Feb. 14). Prior to Rutgers, Coach Rex was a Two-time US Lacrosse All-American, a four-year varsity player at Loudoun County High School and the 2014 Zone Player of the Year. In addition to playing on the LCHS State Runner-Up Lacrosse team, he earned First Team All-State honors, two-time district Player of the Year, and two-time first team All-Region. Coach Rex was not just a one sport athlete. He also played three years of varsity football, earning first team All-Conference honors as an all-purpose player. He holds the LCHS school record for most receptions in a single game with 17. Most importantly Rex was an AP scholar award winner and graduated in the top five percent of his graduating class. 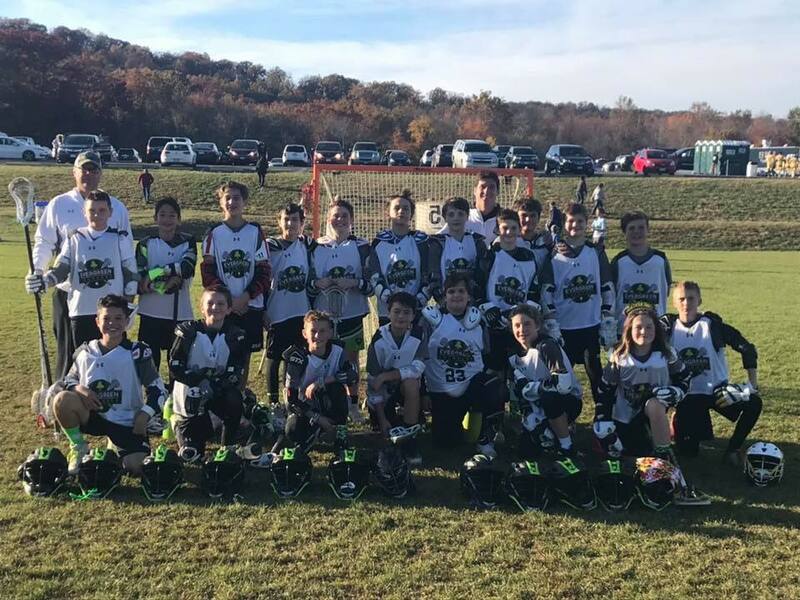 Evergreen Lacrosse Club is committed to not only providing the best lacrosse instruction possible for youth players, but leveraging the highest caliber role models to help teach our players life skills that will help them succeed long after they put down the lacrosse stick. We are proud and grateful to have Coach Rex as part of our Evergreen Family. We look forward to watching the rest of his season and can't wait to hear all about it this summer!